What have you eaten lately that doesn't have preservatives? Some examples that come to mind for me are: a homemade soup or some homemade almond butter. That just happens to be what I am eating today for lunch. We played a game of clean out the fridge and pantry last night and came up with a big pot of yummy soup. I was so happy to be able to package some up for the week. It turned out to be kind of a veggie, chicken broth, tomatoes and spaghetti noodles soup. It is pretty tasty. I also made homemade almond butter with honey and sea salt, which has been a big hit in the office this morning. I was wondering how long it would keep in the fridge, but I have a feeling we won't need to test it because it is being gobbled up pretty well. Here is an excerpt from an article that touches on the subject, namely the SAD, Standard American Diet. #1 & #5 are good daily standards to live by. Eradicating every guilty pleasure in life is not the end goal here, nor is it a particularly realistic approach to making changes...we all enjoy the occasional cheeseburger, order of fries, or bag of chips. But if we understand the consequences of making what ought to be an occasional treat into the mainstay of our diet, we can begin to make wise choices about how many of these things we are willing to eat. When it comes to avoiding many of the questionable – and possibly deadly – additives contained in processed foods, we're only human after all, so taking baby steps toward change is usually the best approach. 1. As a general rule, if you don't recognize – or can't pronounce – the words on a label, don't buy it, or eat it. Opt instead for the real thing. 4. Don't eat products containing sugar substitutes such as saccharine and aspartame. 5. Avoid products with a long shelf life – the better they do on the shelf, the worse they are for your body. 6. Avoid products that have been enriched. They have been completely devitalized during processing. 7. 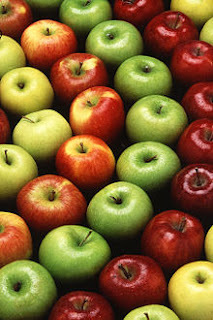 Avoid food that has been genetically modified or engineered. 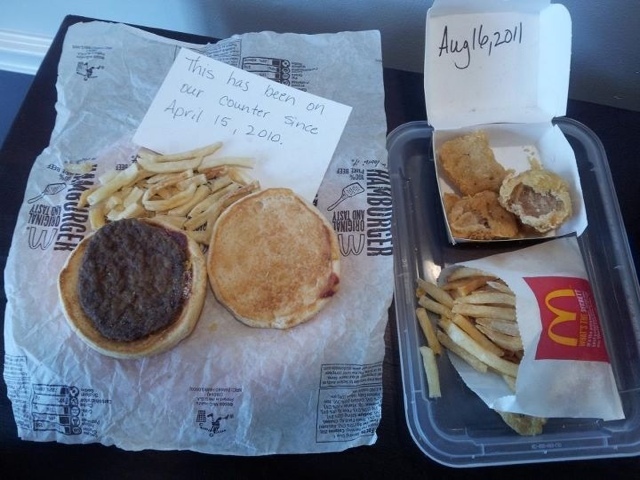 Nearly all processed food contains GMOs. 8. Avoid products made with ingredients euphemistically described as "natural flavoring" or "natural coloring." 9. Avoid products with added sugar – watch for words with "-ose" endings such as glucose. 10. Incorporate a multi-vitamin into your health regimen. If you've had a history of eating products high in sugar and are concerned about diabetes, incorporate disease-fighting products such as garlic, vitamin E, and aloe vera into your diet. Vitamin E supplements can also protect your body from the harmful effects of eating refined products that have been bleached with chloride oxide. The Harmful Effects of Eating Processed Foods"
We do a lot of talking about Eat Well here, but let's stop and talk about some Play Well. Both my husband and I have been on some great vacations, both seperatly before we met and together after we met. Separate or together we have been to Africa, France, Spain, Italy, Australia, Greece, American Virgin Islands, British Virgin Islands, Bahamas, Fiji, Cancun, Acapulco, Cabo San Lucas, Zihuatanejo, as well as other Mexico areas. Additionally, Hawaii & Alaska, and a handful of the other American States. I am sure that there are some that I am forgetting, but these are the destinations that I can think of, off the top of my head. We are so greatful to have had these wonderful opportunities and hope to have many more adventures in our future. I have been eyeballing Costa Rica, and my husband would go back to Australia in a heart beat. 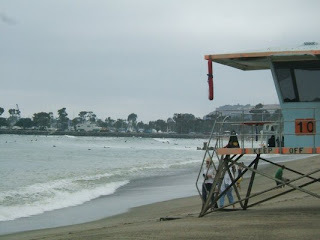 This summer, so far; we are planning to go to (starting next week) Oklahoma- for my little Brother's College Graduation, Lake Arrowhead, Lake Havasu, (both of which are my havens for the same and separate reasons) camping at Leo Carillo State Beach, camping at Doheny State Beach, and we are in the planning stage of taking a trip to Boston and Maine in June. There's a couple reasons that this trip should happen and I'll explain that on another day. Where are you going this summer and what California camping spots do you love and repeat visit? 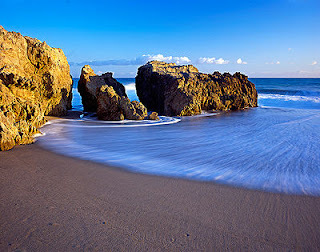 Leo Carillo State Beach: http://www.parks.ca.gov/?page_id=616 we haven't been yet, but I have heard that it is a great spot. At only an hour and a half from our house, it is a jewel I am happy to find. I will plan to take photos of our mini travels this summer and share them with you here. Have a great rest of your week and weekend. We have had some Thunder showers here last night and today, but it is suppossed to clear up and be beautiful and around 75-80 degrees this weekend. P.S. While writing this post I am lunching on left over tomato/basil pasta and a Turkey Stuffed Red Bell Pepper which my new Business Partner made as a trial run for a new feature on our Menu. Both hit the spot and allowed me to stay at my desk and write this piece. Visit my new pages on this site, to get a piece of the action, which is Freeze Well, Eat Well. If this doesn't say Easter Dessert, then I don't know what does. Cut green tops off and then start slicing. This looks like a scary movie, but it is actually the prior after being attacked by the blender stick. Take another portion of the berries and put in a small sauce pan. Add sugar. Let melted version cool sligthtly, then add it to the massacre bowl. In a seperate bowl, you will need plain greek yogurt, heavy cream and sugar. You are whisking until firm peaks form, so get compfortable. Add a portion of the cream to the jar of lemon curd. Then gently fold in the rest of the cream. Here we have a pound cake. I opted for the frozen variety and let me remind you to let it thaw. I had a forced 2 hour break here when I realized I should have pulled it out. Once it is thawed, slice it long ways into 3 long beautiful beds. Cover the 3 rectangles in your seedless strawberry jam. Yes, I opted for Knott's brand..
Then start layering your trifle. Now I didn't have a trifle bowl and I knew where they sold them at BB&B so I swung by there and they were completely out. I took it as a message of just use the other glass bowl that you have at home. Add lemon whip filling into bowl. Puzzle piece a layer of strawberry pound cake into the next layer. Add a layer of strawberry fantastic. Then a layer of sliced strawberries. Then repeat until you get to the top or you run out of ingredients, whichever comes first. My experience was the top of the bowl first, maybe I was holding back too much on the lemon whip filling. Don't you just want to reach in for a bite? Every step except for the last layer of fresh whipped whip can be done the night before, which is what I did of course. It was a hit, both that day and the following day when I brought it to work to share with coworkers. 1. Make sauce: Hull and slice berries. Mix 1 cup berries with lemon juice and 2 Tbsp. sugar in a large bowl. Using a fork, mash berries into a chunky pulp. Combine another 1 cup berries and 2 Tbsp. sugar in a small saucepan over medium heat. Cook, stirring, until the berries start to give off liquid, about 2 minutes. Increase heat to medium-high and cook, stirring often, until mixture is thick and pulpy, about 5 minutes longer. Stir cooked berries into mashed berries. Cool slightly. 2. Make filling: Put lemon curd in a large bowl. In a separate bowl, beat cream, yogurt and sugar with an electric mixer until stiff peaks form. Stir about a quarter of whipped cream mixture into lemon curd, then gently fold in remaining cream mixture. 3. Assemble trifle: Trim and discard both ends of cake. Cut cake crosswise into approximately 1/3-inch-thick slices. Spread each slice thinly with jam. Pour 1/2 cup lemon filling in bottom of a 14-cup trifle bowl or other large glass bowl. Spread evenly. Top with cake slices, jam sides up, trimming cake slices as necessary to make a flat layer. Pour about 1/2 cup strawberry sauce over, distributing fruit as evenly as possible over cake layer. Spread 1/3 of remaining sliced berries over sauce. Build two more layers with remaining filling, cake, sauce and sliced strawberries, arranging layers so they're even and visible through the bowl. Cover with plastic wrap and refrigerate for at least 6 hours or overnight. 4. Just before serving, whip 1 cup cream with an electric mixer until medium-firm peaks form. Spread whipped cream decoratively on top of trifle. Spoon into individual dessert bowls and serve immediately. I couldn't sleep early one Sunday morning, (which is a rare occassion but it did happen) so I found myself on the internet for recipes. This recipe was calling my name, and I happenned to have the zuchinni to prove it. It was so handy to have this ipad, which we are borrowing from a family member, hoping we get to keep it for a while. I propped this thing up and got to work before the sleepy heads were stirring. Looking back, I probably could have opped for the food processor for this process but we only have a mini so sometimes that doesn't always work out the best. Just like you do with frozen spinach, squeeze out all of the water. I was surprised at how much water these puppies were holding. Now your zuchinni has had it's towel time and is ready for some cooking. It gave me the option of two different cheeses so I had to try both, seperately. Bread crumbs. Now, oddly enough I had been drying up some what looks to be sourdough bread already, so I had the makings for breadcrumbs. This mortar and pestal put my early morning arms to work... Again, thinking food processor but who's counting. I am glaring down down and hoping that they are crushed enough. Quite the close up shot, wow. A tasty way to eat zucchini. They smell like tater tots when they are in the oven. 1. Preheat oven to 400ºF. Spray a mini-muffin tin with nonstick spray, set aside. 2. Grate the zucchini and then place it in a dish towel and squeeze out the excess water, like you would do with frozen spinach. 3. In a bowl combine, the egg, onion, cheese, bread crumbs, zucchini, salt and pepper. 4. Using a spoon or a cookie scoop, fill the muffin cups to the top. Bake for 15-18 minutes, or until the top is browned and set. Note: you can saute the onions before adding it to the mix if you want a milder flavor. I am thinking about making these and selling them to coworkers, what do you think? I am a big believer in Whole Foods (The items, not meaning the store) and along with that comes the intake of certian foods that are doted as "Super Foods" or foods that you should try to incorporate into your diet on a routine basis. Once you get into it, you won't really have to try because you will crave these healthy items. 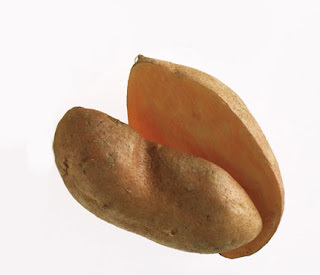 Yesterday I was craving a Sweet Potatoe (Or some say yam) because I saw Bethenny Frankel eating one and I remembered that I hadn't had one in a while. 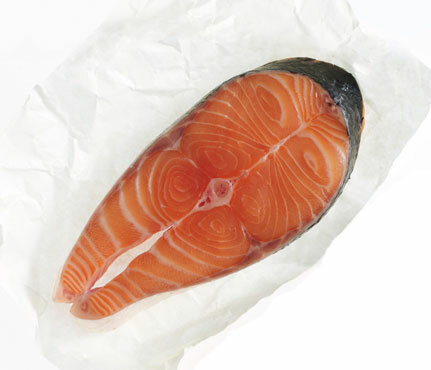 WildSalmon The fish's Omega-3 fatty acids could help you fight flab more effectively s well as lower heart disease risk, help arthritis and may possibly help with memory loss and Alzheimer’s. They help you fight flab by altering the expression of certain genes, shifting your body to burn fat rather than store it. There is some evidence to show that it reduces depression as well." Other forms of omega 3s are available in fortified eggs, flax seed, and walnuts. These superfoods have the added benefit of being high in monounsaturated fats, which can lower cholesterol. People who ate and apple 15 minutes before lunching on cheese tortellini consumed 187 fewer calories in total then those whom did not snack on anything before hand. A study from Penn State University in University Park determines. How about them apples? A complete protein, it has all the essential amino acids needed to build metabolism revving muscles. The proof: Reduced calorie dieters eating about 115 g of protein daily lost 22 percent more fat after 4 months than those who ate 70g per day. These are legumes and are rich in resistant starch a carb that may encourage fat burning and shrink fat cells. The proof: when participants enjoyed a meal with 5g RS (2/4 cup cooked lentils) they burned 23% more fat over 24 hours that when they had a meal without the starch, according to researchers at the University of Colorado. 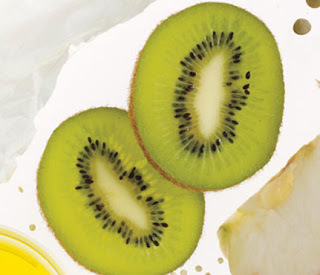 Kiwifruit Slimming superpowers: A large kiwi has 84 milligrams of vitamin C—more than a day's quota. C helps form carnitine, a compound that transports fat into cell mitochondria, where it's burned for energy during exercise. The proof: People with low blood levels of C burned 10 percent less fat per pound of body weight while walking than did those with normal levels of C, a study at Arizona State University in Mesa shows. But when subjects got a dose of C, their fat burning increased fourfold. 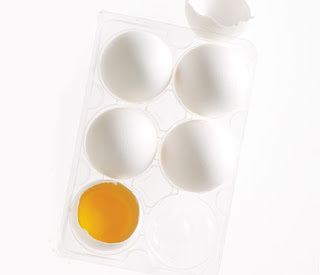 Eggs Slimming superpowers: The breakfast staple is loaded with choline, a compound known to help block fat absorption. The proof: After eight weeks, dieters who ate two eggs, toast and jelly for breakfast five days a week lost 65 percent more weight than those who had a same-calorie bagel breakfast without eggs, according to a study in the International Journal of Obesity. Yogurt Slimming superpowers: Lowfat and nonfat Greek and regular yogurts contain 20 percent or more of your daily calcium needs. The mineral slows production of cortisol, a hormone that encourages belly-flab buildup. The proof: People on a low-cal diet that included yogurt lost 81 percent more belly fat than those on a similar but no-yogurt plan, a study from the University of Tennessee at Knoxville concludes. This dairy is a must-do. Edamame/Soy Slimming superpowers: The green soybeans supply 17 g of protein per cup, and your body torches more calories digesting protein than it does processing carbs and fat. The amazing proof: Researchers from the Federal University of Vicosa found that people burned about 70 more calories per day when their A.M. meal contained soy protein versus other types of protein. Cool beans! Sweet Potatoes Slimming superpowers: These spuds have RS, the same carbs found in lentils that may turn up the body's fat-scorching furnace. RS may also increase production of peptide hormone compounds that signal the brain to stop eating. The amazing proof: After a breakfast and a lunch containing RS, subjects ate about 10 percent fewer calories over the next 24 hours compared with when they had similar meals with a placebo, research from the University of Surrey indicates. A diet high in fiber will help you maintain healthy cholesterol and blood sugar levels. As a bonus, because fiber helps you feel full longer, it's a great tool in weight management. Whole grains, beans, fruit, and vegetables are all good sources. Try throwing some beans in your salad. Fresh, frozen, or dried are the best. You can use canned, but they tend to be higher in sodium. Ann Kulze, MD, of Charleston, S.C.
New research has shown that dark chocolate is packed with antioxidants and can lower blood pressure. Most recommend that you look for chocolate with 60% or higher cocoa content; the darker, the better. In addition, the darker it is, the lower the fat and sugar content. Now that's our kind of health food! Ann Kulze, MD, of Charleston, S.C.